Nascar announced that it will prohibit windshield wipers in dry racing conditions in the next 2019 season, while teams have discovered using blades in dry conditions to be an advantage. In dry conditions from next season, windshield wiper will be banned by Nascar in dry conditions on road courses. Goodyear and Nascar have developed a new rain tire for races that take place in the wet although these will only be used a handful of times. The rules allow teams to install a windshield wiper in wet races. However, some of the teams have found a way to exploit the rules. In 2015 a some of the teams used wiper blades in both dry and wet weather conditions, which led to speculations that the wiper blades could provide a competitive advantage. Blades positioned at the exact same angle in June at Sonoma was visible on most participating cars. From the 2019 season, Nascar will ban the use of wiper blades, unless the conditions on the track dictate them. 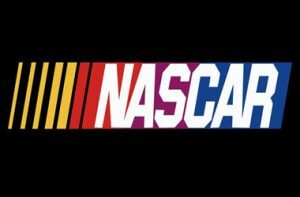 Scott Miller, the Senior Vice President of NASCAR, said on Monday that they allowed the use of wiper blades in both dry or wet conditions. But he explained on SiriusXM NASCAR radio that changes are on the list of rule changes in 2019 and cars would no longer be allowed to use windshield wiper blades during all races. It changes the rule that cars could run with windshield wipers when every they wanted but since then it has been discovered that in theory the blades direct air into the cars sensitive areas and aid turning as it displaces air that reduces drag and provides straightaway speed. In private each of the teams will have something different to say, some have already explained that the blades are used since other use it. Some teams explained that the wipers never stay in position and therefore the results are erratic and don’t offer a positive gain, while others used non-approved blades and at Sonoma forced the hand of NASCAR. There is a slight chance of rain in the upcoming race on Saturday. It’s the Xfinity Series race and, also the final practice for the Cup Series at Watkins Glen International. Previously quite a few of the Xfinity road course races took place in rainy conditions.